Valentine's Day is supposed to be the day of love and romance. Sometimes when you're a mom, there's plenty of love, but maybe not so much romance. I know we should show our love every day, and not save it for one special day, but I admit to falling victim to the allure of paper hearts, heart-shaped boxes of chocolate and all things red and pink. But Valentine's Day has a habit of sneaking up on me. I don't really "decorate" for Valentine's ahead of time, but I do comb the house to find things that will work for easy Valentine's Day decorating ideas. Typically, I decorate the dining room table after the kids go to bed on the night before Valentine's Day. I put out red place mats, Valentine's Day plates and cups (when they were younger). I sprinkle candy hearts, hang some balloons . . .just some little touches to let them know I think they are special. 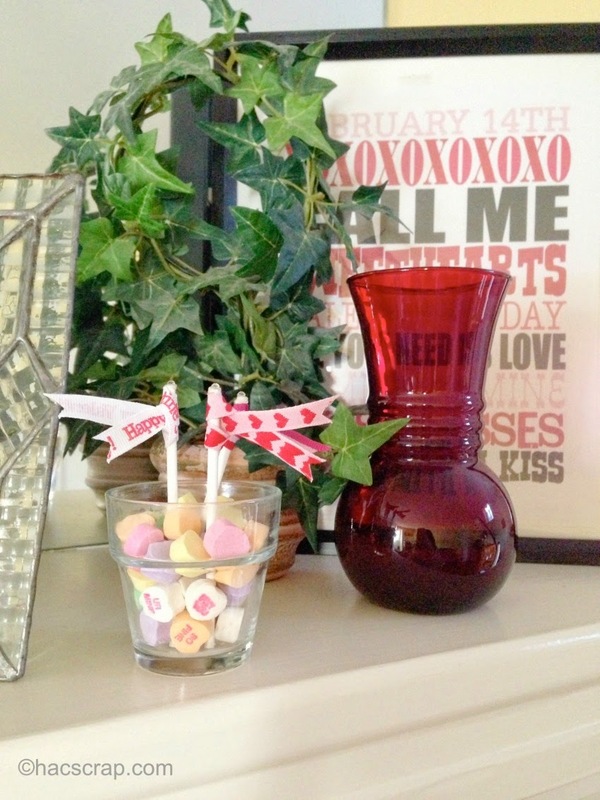 Maybe an easy Valentine's Day centerpiece, using things I have around the house and adding some candy hearts. 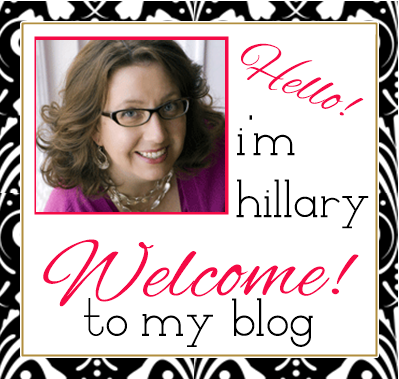 I typically buy them cards. Sometimes I make them handmade Valentine's Day cards. They may get a small present if time and budget permit. Of course there is candy. 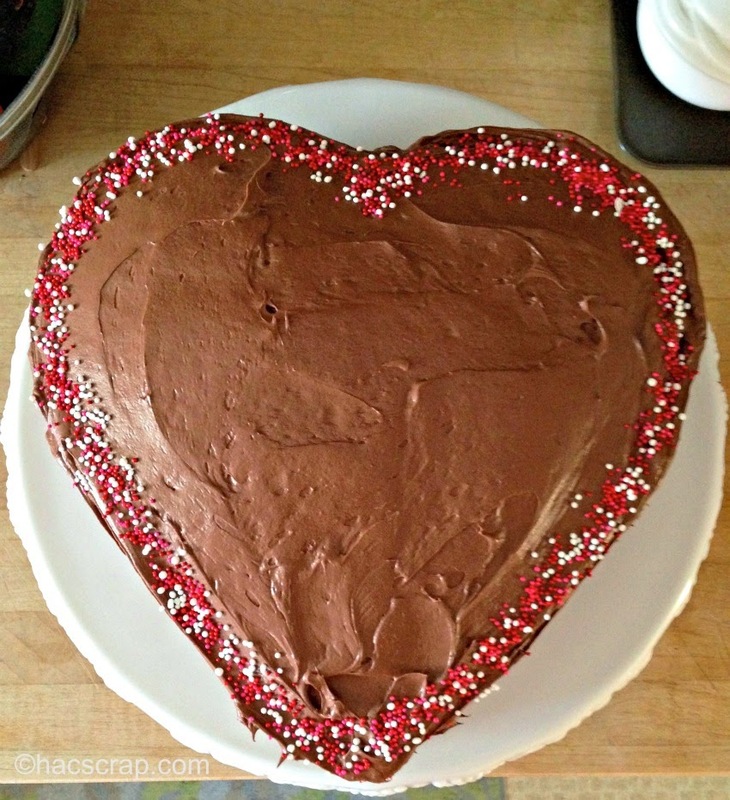 A heart-shaped cake is nice. Maybe Red Velvet or Chocolate. 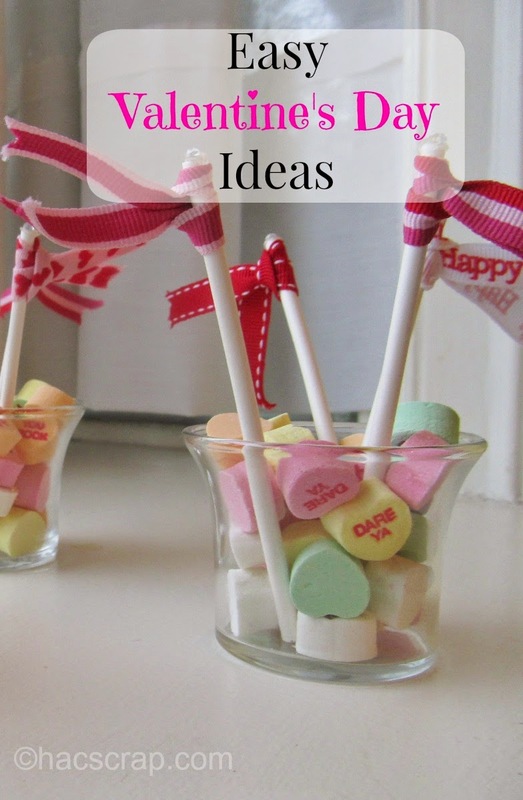 Setting it on a white cake stand with sprinkles or some little candy hearts can add a festive touch. I've also been known to make a heart-shaped pizza and Valentine Sprinkle Pancakes! How does your family celebrate Valentine's Day? 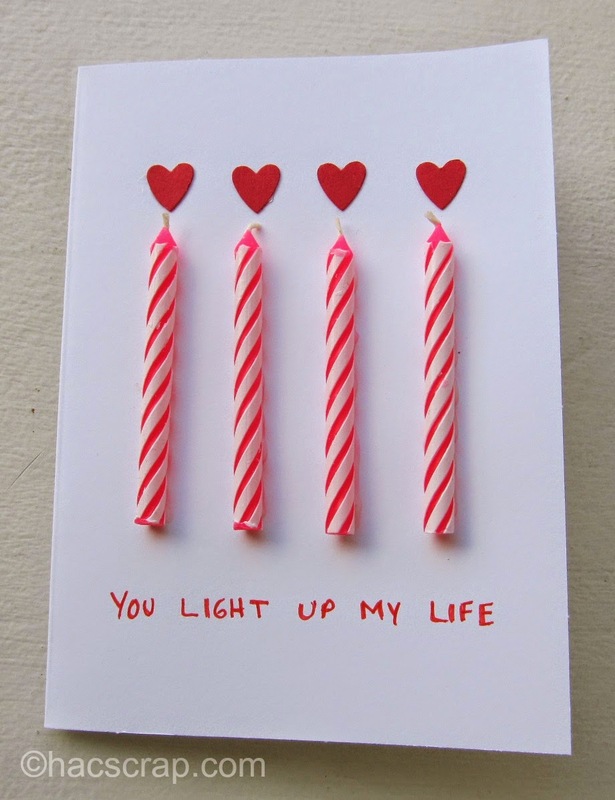 For even more ideas and inspiration, check out my Valentine's Day Pinterest Board. 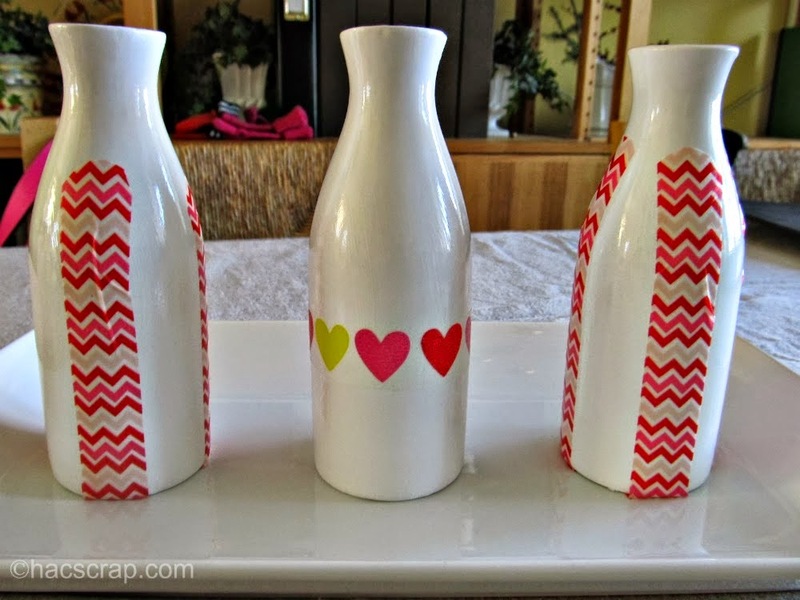 That candy heart vase is super cute! 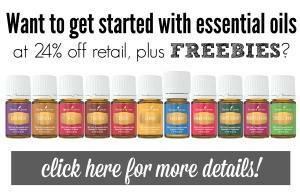 All of these are cute and simple! I really like those milk vases.